The Peregrine Protection Center (PPC) 24 hour is ULC certified and represents the hub of the entire company. It is the technological and operational heart of Peregrine. The center is staffed at all times and is an intensely secure location from where Peregrine’s monitoring staff watch over monitored security systems and/or live remote video surveillance images. Additionally the center offers constant and immediate support to Peregrine field staff as well as our clients. As the security industry develops it is technology that will deliver cost effective security solutions. In particular the emergence of Internet Protocol services in everything from Video cameras, GPS tracking devices 24 hour information services and unlimited amounts of emerging technologies all these innovative services require to function are excellent connectivity and reliable power. Peregrines Protection Center is certified to the very stringent requirements on The Canadian Underwriters Certification which addresses facility construction, data protection demands and reliable power supplies both direct and during any power outages. Peregrine has a mirrored facility remotely located outside of the City of Toronto. Emergency planning addresses line switching and off site data backup ensuring seamless response to emergencies affecting our own facility. This means clients never have to be concerned about downtown affecting their safety and security. Communications into and out of the center are fully recorded to the very highest of standard ensuring total transparency in how Peregrine operators deal with communications at all time. 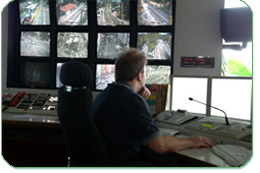 Recent installed and by commencing operations in the early summer of 2009 means that our center is without doubt the most technological security center in the Greater Toronto Area. With the hands on experienced staff, state-of-the-art equipment, full connectivity and total off site redundancy ensures this client friendly support center will always be able to support our clients at all times.